Ari lost everything she once loved when the Five Guilds' resistance fell to the Dragon King. Now, she uses her unparalleled gift for clockwork machinery in tandem with notoriously unscrupulous morals to contribute to a thriving underground organ market. There isn't a place on Loom that is secure from the engineer-turned-thief, and her magical talents are sold to the highest bidder as long as the job defies their Dragon oppressors. Cvareh would do anything to see his sister usurp the Dragon King and sit on the throne. His family's house has endured the shame of being the lowest rung in the Dragons' society for far too long. The Alchemist Guild, down on Loom, may just hold the key to putting his kin in power, if Cvareh can get to them before the Dragon King's assassins. When Ari stumbles upon a wounded Cvareh, she sees an opportunity to slaughter an enemy and make a profit off his corpse. But the Dragon sees an opportunity to navigate Loom with the best person to get him where he wants to go. 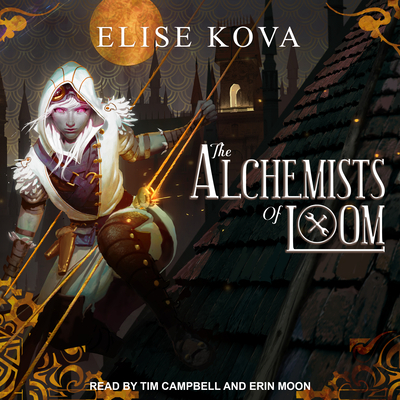 He offers her the one thing Ari can't refuse: a wish of her greatest desire, if she brings him to the Alchemists of Loom.